Thanks for posting this, it was just the solution i was looking for. I was struggling to get my WRT54GS to WoL but now it works perfectly! Although i must admit that I could not get the most crucial step to work.. step 3.. at first anyway! I did try with the DOMI method, but it couldn't seem to get it to work and I did not quite understand the HTML method. Instead I loaded the page in firefox, disabled Java, entered 255, restarted Java and clicked 'Save Settings'. Good thinking! I hadn't really thought about changing that setting *while* the page was loaded. Glad to hear that it worked out for you, isn't it ridiculous that they don't have an administrative override for this functionality? Yes it is frustrating, I did toy with the idea of upgrading the firmware with a custom version - but I thought it was too risky! One thing I forgot to add is that you need to click 'outside' the text box after entering '255' as this is when the java script would normally kick in. left the router subnet at the default 255.255.255.0.
created a port forward to 192.168.1.31 on port 9 udp and saved the settings. returned to the router subnet setup and changed it to 255.255.255.224 and saved the settings. Now that the forward was set previously, it didn't run the verification for accepted ips to forward(192.168.1.31 is broadcast on the first 255.255.255.224 subnet). fired up your WoL app and viola! I've tried almost everything I found here and there but nothing seems to work for me. WoL works perfectly if I invoke it with a computer on the same LAN, however it doesn't work over the internet. Both methods for imputing *.*. *.255 as my broadcast address failed. I decided to change my subnet to *.*. *.128 which means my broadcast address should br *.*.*.127. Still no luck. I have a "Magic Packet Monitor" and it doesn't register a packet sent over the internet. It works perfectly on the LAN itself. I'm running Firmware Version: 1.01.08 on a Linksys WAG200G. and it has worked fine until VOIP go into the picture. Your app works great when I turn off broadcast. Would you be willing to share your code? Or perhaps tell me how you've turn off broadcast in your app. I tried remming SetClientToBrodcastMode but that didn't work. Well, I build the packet myself and send it. That way I don't have to bother with any of the higher-level programming getting in the way. Saviour! (sort of...) I can wake up my home pc with your software, but not via depicus woli or any of the other online web interfaces for WOL that I know of. It's your "Do Not Broadcast" tickbox which seems to be the difference. Are there any web interfaces that have similar functionality? Restriction to your software may be a problem because at work etc. I'm behind a proxy server which authenticates, and I doubt it will work behind it. 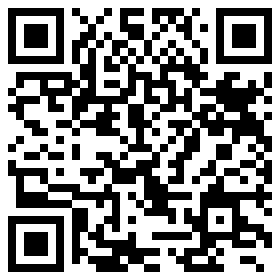 [ Perhaps the code could be adapted for PocketPC and I could wake via that? ] These are small problems that I'm sure I can fix somehow. One of those who replied had a WAG which caused grief. I have one of those too (a WAG54GP2v2), so here's how I fixed the problem (after setting the router up with DynDNS.org, which will certainly make this less messy because many of the linksys routers have functionality with DynDNS.org built in). 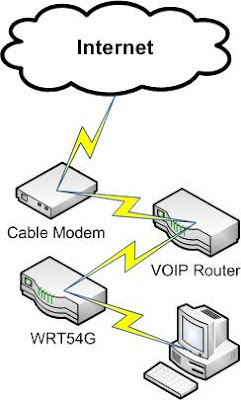 Look over another good tutorial at http://www.smallnetbuilder.com/content/view/29941/53/ I could only get this to work if I followed their instructions for A) static DHCP (associating a specific internal IP address with a specific mac address) + B) the recommendation to use wireshark proved very useful. After using that, it seems that the only 'listening' port I could forward was UDP 5938 - UDP 9 seems to be no good for me. Hence, now I forward 5938 UDP to 192.168.1.65 (the static DHCP which I set for my home pc). In WOL, I use MAC | host service name from DynDNS | all 255s for subnet | 5938 as the port | and 'Do not broadcast' WORKS GREAT, thanks! NB. It's probably redundant now for me(? ), but this might be useful for others: I found another way to port forward to the otherwise-out-of-range '.255' (I could use the DOM inspector to change the value to .255, but I couldn't seem to save it. How do you achieve that?). The linksys firmware has ability to backup/restore to/from a txtfile (Administration tab; "Backup&Restore") => set up the port forward as explained in the tutorial, but leave the last number as something within your router's scope (I used .31, but at that stage I had some other subnet. It shouldn't matter what final number you use, as long as it's within range). Backup to text file; edit the textfile in notepad; search for a line which looks like forward_port=WakeOnLan:on:udp:5938:5938>31 (I called the portforward 'WakeOnLan' so use whatever label you inputted earlier as the search criterion); change the '31' to 255; save; restore from the same window in the firmware. Done! I did code this into a web application, but it looks like my hosting company won't allow sockets to be made from websites. If anyone was willing to host the application for me in a fully trusted environment we could get something out there -sigh-. You really have pulled together a nice tutorial. Unfortunately, I have a WAG54G2 and following your instructions, I think Linksys stepped up their security. I, for one, cannot think of any possible reason why they cant enable this feature, not go and step it up. I am hating linksys right now. Even my friends (no name) Chinese router has the ability of WOL. Please, if you know any other references or link or if you know something yourself, please let me know. I have googled all sort of queries and im not coming up with anything. Thanks for your informative tutorial though, at first I was excited, only to find it doesnt work for my model even though the web interfaces and router configurations are almost teh same. I found a simpler way of tricking a Linksys router into accepting the broadcast address. This worked great for my WRT54G2 - fantastic tip. Thanks Matthew! Step 3 doesn’t work for me. Using Firebug, I removed the onBlur and changed the value to 255 and it either doesn’t keep the value or gives me this error, “The values you entered are invalid. Please try again.”. The error is not a JS alert, but actually written out to the screen with the “Continue” button. I also tried disabling JS and saving the page and editing the HTML, all with the same results. It is as if they are doing “server-side” validation now. my software seems to check it on the html page and on some server page... i can send it 255, but it sais unsuccessful, any ideas? My backup file was encrypted, disabling JS was not useful, and using DOM to force the 255 failed. Thus, if you are using firebug or any java editor, first edit the blur rule for the input blank to allow 255 then you need to edit the script that runs when you press the save settings button. change submitF(this.page) to submit(this.page) and then pressing the button will just make the setting save vs checking to make sure the settings are valid before saving. Awesome work, I have tested the Android app with your configuration and the same router. It works the first time but if I want to start the computer again I have to change port number next time I run the app? I've from some users that this is a router configuration issue. As for my particular firmware, I've no problem reusing the same port. Other users recommend using dd-wrt instead ( http://www.dd-wrt.com/site/index ) if you run into an issue where it only works once. It seems to work if I try start the computer after I just have shut it down. If it's been of for some hours it's completely dead. This app seems to work perfectly for my home computer which uses a regular cable hook up. But for some reason i can not wake up my office computer? It uses a T-1 connection with a cisco asa firewall any suggestions? ^ Ok, i'vebeen at it for a few hours now. Trying to get this to work on my ANDROID. But it only works when I have my android phone connected to wifi on the router (using 'Wake On Lan Monito'r to test). I tried port forwarding 192.168.1.254 w/ UDP 9 and no matched static ip, same result. Tried NO static ip w/ same settings, same result. Questions: Do i have to somehow get my IP Static to 192.168.1.255 and Subnet to all 255s? Because it doesn't let me, says its invalid. I'm doing this using my OS, not web browser via router. Great app btw. Just want it to work for me. On my android device I unchecked the broadcast option. This magic Packet Sender was useful to see if my computer was receiving the magic packet when sent over the internet from another pc, but was useless when sending from my android for some reason. The only way that I was able to see if I had my android set up properly was to turn off my pc and try to turn it on over 3g with my android. Liking the idea of the app but im just curious, does it work over 3G? I want to be able to wake my pc from my phone while im at work. Been experimenting but cant get it to work. How do I save the DOM modifications or revised .htm page to the router? How can I import/export individual profiles, tasks etc ? Go to the main screen, long click on the tab for the type of thing you want to import. Just curious, asking for feature request. Would it be easy to make it so the app doesn't open on screen if I click a shortcut? I'd be fine with a notification "packets sent" but it'd be cool if the app window didn't flash up at all. Fantastic work! This app and your android app are the only ones that work for me because they have the option to not send as broadcast. Is it possible to run the windows app from the command line? go to import a profile from csv. Get the warning that importing profiles may overwrite. Imports the fault with no option to file search folders. I'm sure the mechanism in previous versions was an option to search. How else would I be able to import a csv that has been saved/downloaded into an another folder? e.g. I send the profile by email attachment to someone who I offer the opportunity to WOL.They save it to their phone, possibly in the download folder. Where is the mechanism to import from that folder by searching? Otherwise, brilliant piece of work, Works wonderfully well and magicaly. Please, can anybody explain with more details, how this work thru a router, after all the settings where made. I have one ASUS RT-N56U, one Samsung Galaxy Note 3, Wol Wake on Lan Wan installed. 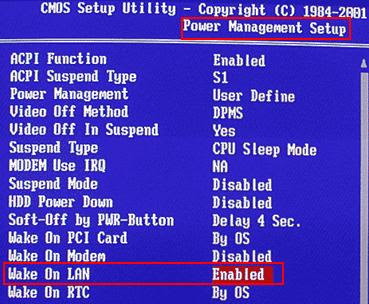 I have made all 3 steps with Wake on LAN from BIOS and Network adapter. I tried with DOM Inspector. It works only with WIFI, but 3G or 4G nothing. Thank you for the detailed post. For those perhaps a bit technically challenged at times like me, or simply to impatient to read carefully, one element that helped me implement this approach is realizing the IP address to send packets to should be the cable company assigned IP, as apparently suggested in the next post. Also the newer versions of Linksys routes seem to have found how to prevent DOM inspector from adjusting the broadcast IP, I get a unique error message after attempting to adjust the DOM value.